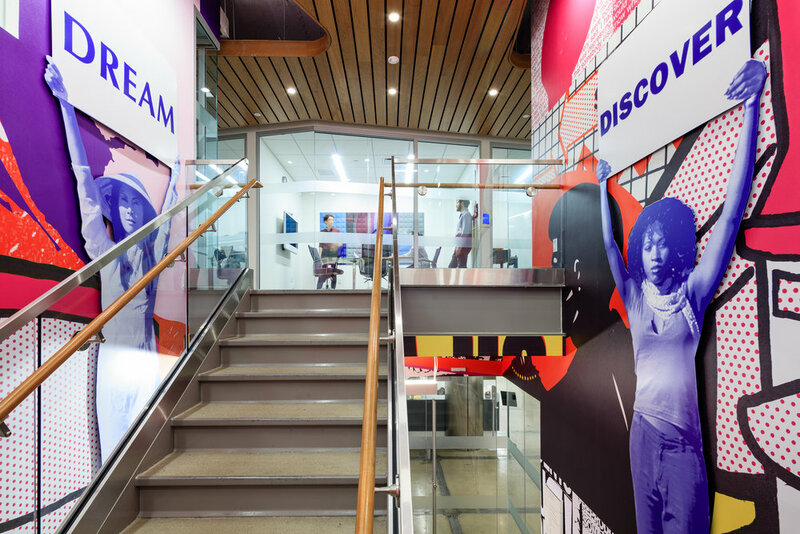 MAD was retained to design the PPFA headquarters in the heart of downtown Manhattan. 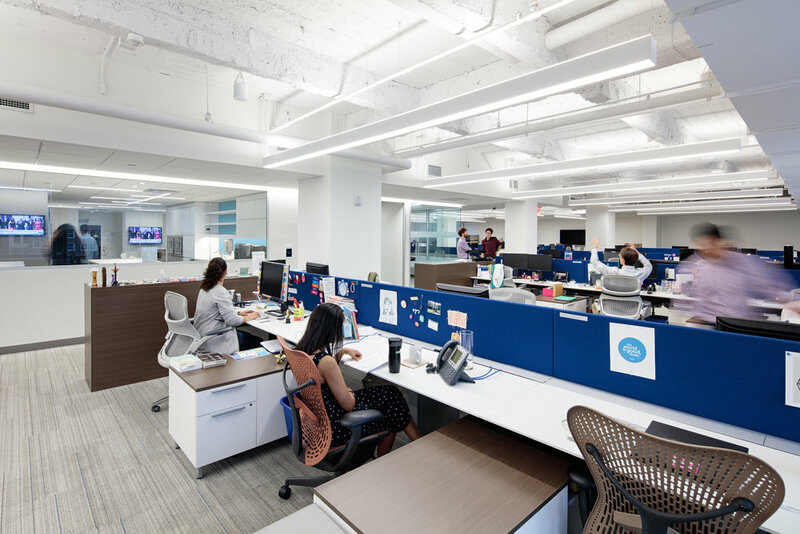 The design uses an open workplace model that concentrates the meeting areas near the center of the plans in order to allow for maximum natural light into the floor plate and situates shared facilities conveniently for all departments. The design features a mid-floor reception area on the main floor that serves as the entry point for visitors and staff. A central stair acts as a visual and physical connector between common areas, such as the pantries, which serve as social condensers - encouraging informal interactions between staff and their guests. 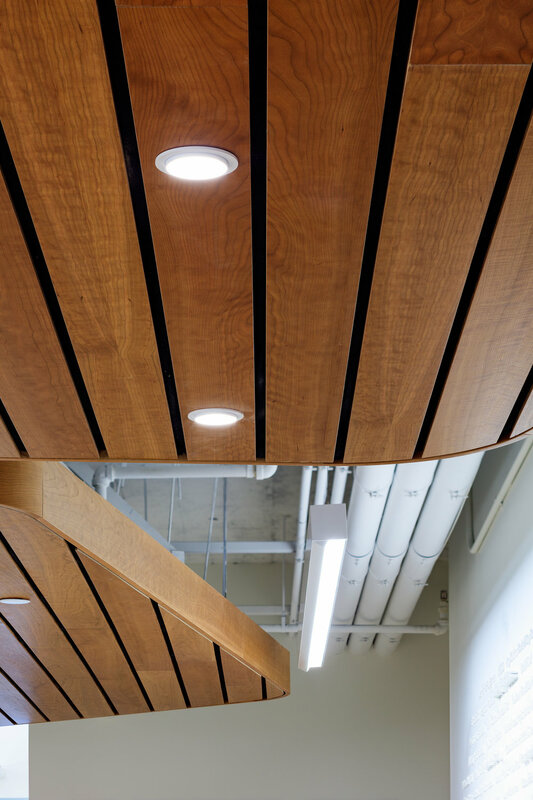 Large curvilinear wooden ceilings create a distinctive identity for the key areas - also serving as subtle markers of primary circulation pathways. Efficient lighting controls and furniture systems, along with many other amenities, make for an inspiring home for this non-profit. A flexibly partitioned Conference Center permits PPFA to hold large gatherings (200+ persons) in a single place. MAD collaborated with Pentagram on the environmental graphics of the stairs.